Workers are on site of the Sable Offshore Energy Project off Nova Scotia to decommission wells. 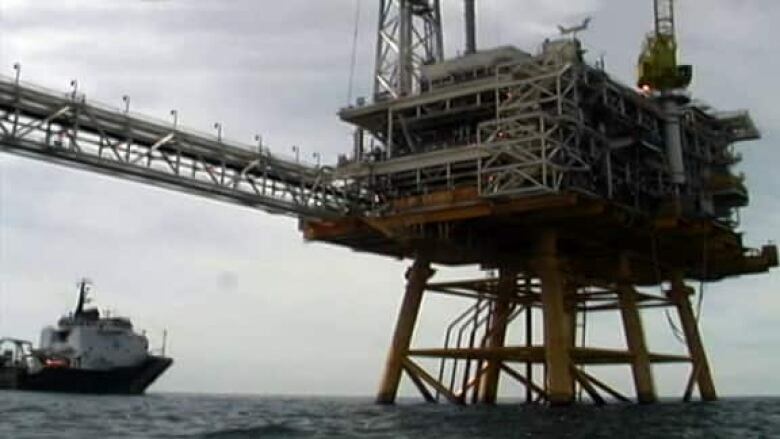 ExxonMobil has been decommissioning the Sable Offshore Energy Project. Work has been suspended on board one of ExxonMobil's drilling rigs off Nova Scotia after a heavy chain fell near workers. Five workers were on the deck when a 16-metre, 102-kilogram chain with a shackle fell. No one was injured. The Canada-Nova Scotia Offshore Petroleum Board said the incident happened Nov. 5 on the Noble Regina Allen rig, which is decommissioning wells for the Sable Offshore Energy Project. Work stopped immediately and operations remain suspended, the board said Thursday in a news release. "It was determined that it had the potential for fatality, and has thus been classified as a high-potential near miss," said the board. ExxonMobil and Noble Corporation, the owner of the rig, are investigating the incident.